Information Technology has started a monthly projects newsletter that will highlight key projects in each issue. Use the link below to open the February 2019 issue in your browser. This issue includes updates on the following projects: Facilities Access Control, Scantron Alternative, Banner 9, Space Utilization, ORGA Protocol Manager Replacement, and Windows 10. Happy first day of classes! The beginning of each semester is a great time for students, faculty, and staff to log into MyCharleston (my.cofc.edu) and make sure phone numbers and email addresses listed in CougarAlert are up to date. The College uses this system to provide emergency notifications to campus. 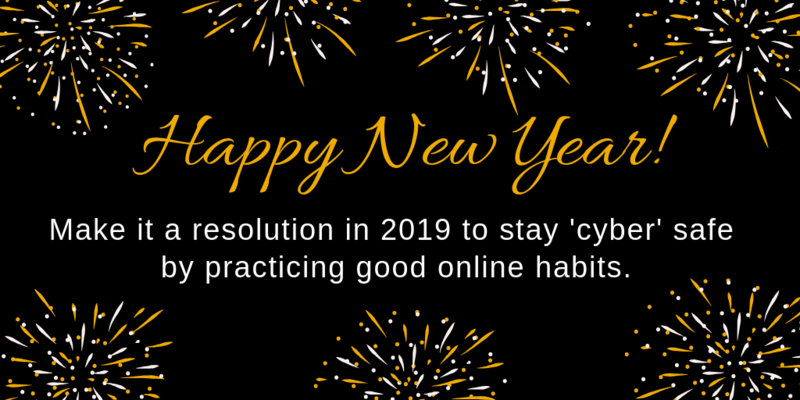 Here are a few good online habits for 2019. Happy New Year! 1. Avoid using public Wi-Fi networks to conduct personal business, bank, or shop online. 3. If your browser warns you that the website you are about to visit is dangerous, close it. 4. Don’t click on a link or open an attachment if you suspect it to be a phishing attack. 5. When finished visiting a website, make sure to log off. 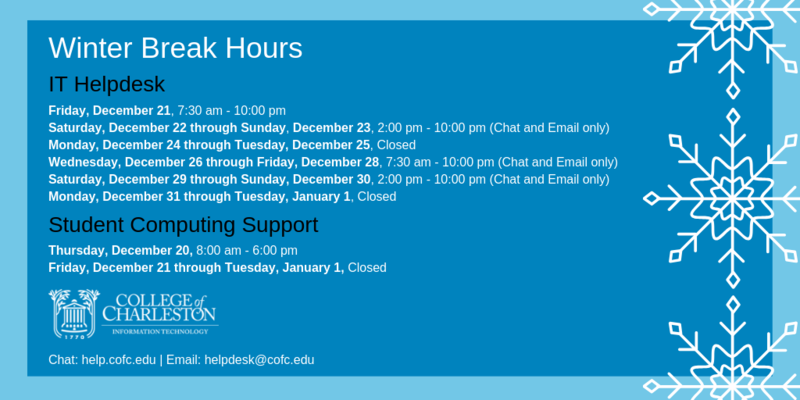 The College of Charleston IT Helpdesk will be operating in a limited capacity Saturday, December 22 through Sunday, December 23 and again Wednesday, December 26 through Sunday, December 30. The IT Helpdesk will be monitoring chat at help.cofc.edu and email at helpdesk@cofc.edu. The IT Helpdesk will not be available via telephone on these days. As always, an on-call technician will be available for faculty and staff emergencies outside of the hours listed. Normal hours resume on Wednesday, January 2, 2019. A follow-up to our November message to remind you to register for Self-Service Password Reset. If you haven’t already, take a few minutes before leaving for winter break and register your account for Self-Service Password Reset. We know it’s a busy time of year, but many people leave for break and forget their passwords once they return to campus. In fact, 60-70% of the Helpdesk’s call volume at the beginning of each new semester is attributed to password resets. Complete the one-time registration process now, and in the future if you forget your College of Charleston password, you can reset it on your own, without contacting the Helpdesk. 1. Visit http://password.cofc.edu/ and click Register Your Account. Alternatively, you can also register your account by following the More Information Required prompt that pops up when you first attempt to log in to Office 365 applications (such as Outlook, OneDrive, Teams, Via TRM, etc.) with your College of Charleston credentials. 2. You need two validation methods to register your account – personal phone number (mobile, office, or home); personal email address; or mobile authenticator app. Step-by-step instructions are available here and are also available under the Resources and Tutorials section of the password.cofc.edu page. If you need further assistance with Self-Service Password Reset, contact the Helpdesk by email helpdesk@cofc.edu, chat help.cofc.edu, or phone 843.953.3375. We’ve compiled a list of frequently asked questions from the campus community, along with helpful tips and instructions for setting up Self-Service Password Reset. 1. I haven’t had a chance to set up Self-Service Password Reset; or I started the process, but did not complete it. Now, I can’t access any Office 365 applications. All users must register their accounts for Self-Service Password Reset. In addition, if you do not register your account with two validation methods during the setup process, you will continue to receive prompts asking you to do so and may not be able to access Office 365 applications, including Outlook. Once you have successfully registered your account, you will not be prompted again for at least six months (when the system will prompt you to verify that your information is still up-to-date). 2. During the Self-Service Password Reset registration process the mobile authenticator app automatically defaults as a validation method, do I need to use the app? You do not need to use the mobile authenticator app as a validation method. You can change the methods you would like to validate with by clicking Choose security info and first changing the Second Method from phone to email, then changing the First Method from authenticator app to phone (see steps 2 and 3 of instructions). 3. I would like to use the mobile authenticator app as a validation method, how do I set this up? If you chose the mobile authenticator app as a validation method, you will need your computer and mobile phone to set it up. Install the Microsoft Authenticator app on your Android, iOS, or Windows Phone at https://www.microsoft.com/en-us/account/authenticator. Once installed, open the app, on the Accounts screen, select Add account. Then, select Work or school account and scan or manually enter the QR code displayed on your computer screen (see step 4 of instructions). 4. I don’t have a personal email address to use. What should I do? We recommend setting up a free email address such as a Gmail account. Setting up a free Gmail account (https://accounts.google.com/signup) for example, only requires a first name, last name, and birthday (phone number is optional). 5. I don’t have a mobile phone number or don’t want to use mine for this process. You can use a mobile, office, or home phone number to set up Self-Service Password Reset. However, using an office or home phone for validation may limit your ability to change your password in the future if that line is not available. Information Technology is looking into alternatives that can be substituted for the use of mobile phones in special cases. 6. I have Multi-Factor Authentication set up through my bank and this seems like a similar process. What’s the difference between Multi-Factor Authentication (MFA) and Self-Service Password Reset (SSPR)? MFA is a two-step process that requires users to verify their identity using a secondary method after entering their username and password, each time they are performing sign-in transactions from off campus. MFA adds an additional level of security for protecting accounts. MFA has not been rolled out to the campus as a whole, it has only been enabled for a few groups, such as Information Technology, IT Ambassadors, and Senior Leadership who have opted in to the service. We hope to offer MFA to faculty and staff in the spring. In contrast, SSPR is a one-time registration process. Once setup, users can reset, unlock, and change their College of Charleston passwords in the future, without contacting the Helpdesk. 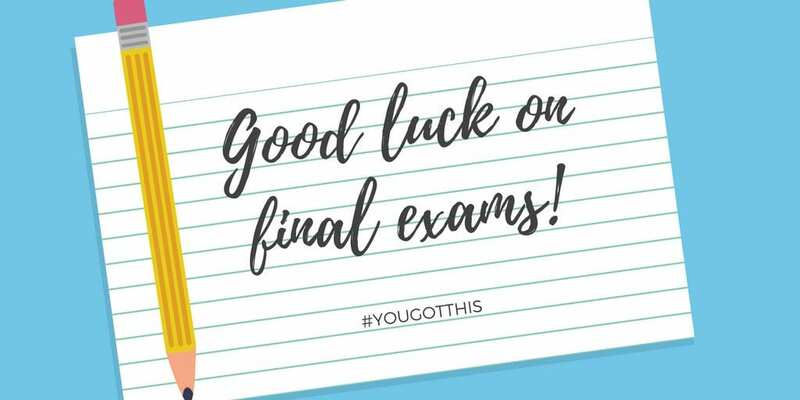 Good luck on final exams College of Charleston students! Welcome (Back) to Campus Alumni! 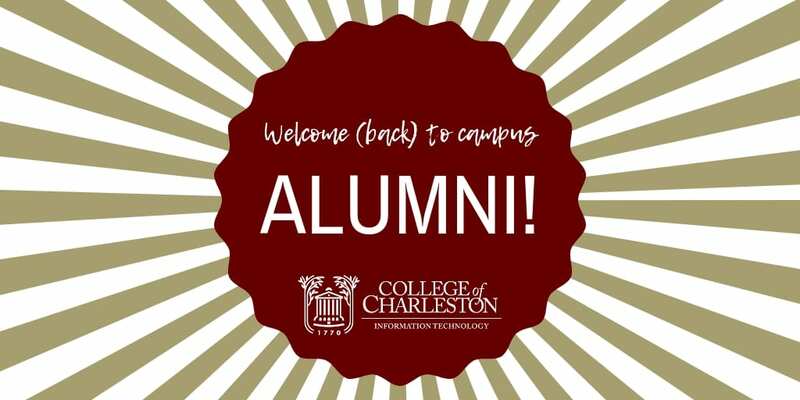 Welcome (back) alumni, and families, to the College of Charleston! During your visit to campus this weekend, please make use of the complimentary Internet access provided through the “cofc-guest” wireless network. Have you ever come back from a vacation or started a new semester and forgot your College of Charleston password? Do you wish you could just change it yourself without calling the Helpdesk? In the coming weeks, the Division of Information Technology will be releasing a new feature, called Self-Service Password Reset, that will enable you to reset, unlock, and change your password on your own. Be on the lookout for follow-up communications from Information Technology that will alert you to when you can start to use this functionality and how to setup your account. If you have questions or concerns, you can reach the Helpdesk by phone at 843-953-3375, email at helpdesk@cofc.edu or through the portal at help.cofc.edu. – Practice good online habits like not connecting to a website when you receive a warning and logging off a website when you are finished. – Having the latest security software, web browser and operating system is the best defense against viruses, malware and other online threats. Make sure your on-the-go devices are up-to-date also.